Now that spring has arrived and the flowers are blooming, the bees are back and buzzing around. I love when I can add fun spring themes into my homeschool lessons. 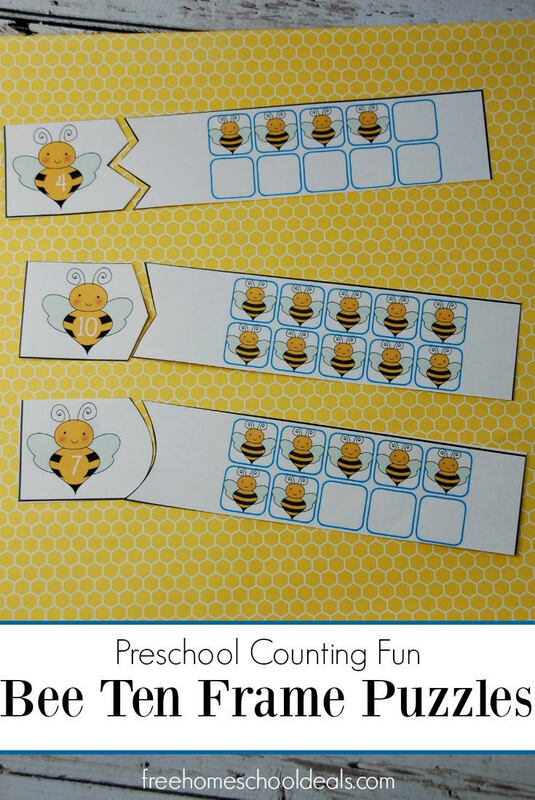 These bee-themed counting puzzles are a great way to do just that. Print the puzzles on cardstock and laminate for durability. Cut each page into three puzzles and each puzzle into two pieces. Preschoolers will count the bees in each ten frame and match it to the correct numbered bee. These puzzles are self-correcting as each piece only has one match.